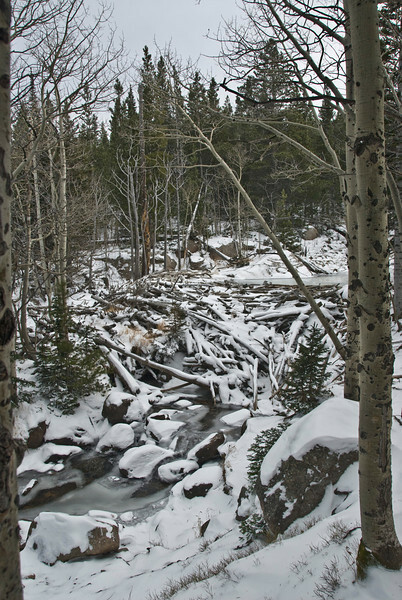 Here is a beaver dam built by the little known and rarely seen giant Rocky Mountain Beaver...Okay-just joking. It's actually a log jam below the falls and the water above it appears to be several feet deep. I would hate to be below it if it ever breaks loose.